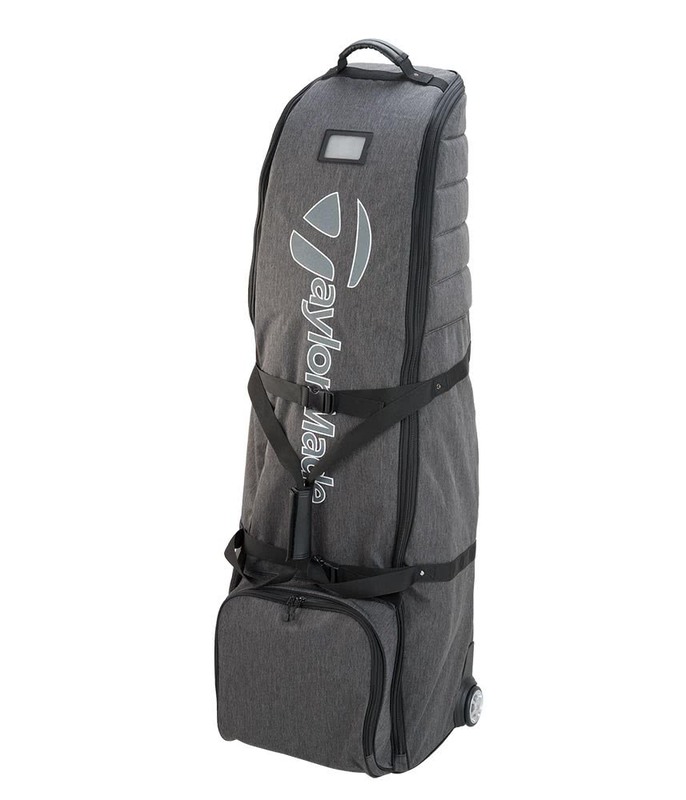 The TaylorMade Classic Travel Cover features a full wrap around zipper that allows excellent access into the main compartment. Making loading and unloading much easier. Inside the main compartment TaylorMade have included an interior strap that will prevent the bag from moving during transit. The fabric is both lightweight and durable whilst providing an excellent drizzle-proof finish. Heavy duty anti-burst straps have been used to secure the bag. To deliver maximum protection to your golf clubs in transit TaylorMade have also employed a 360 top and side padding. The base of the travel cover has been made from a skid-resistant PVC for added durability during transit. The smooth rolling In-Line skate design allows the travel cover to effortlessly glide over all types of surfaces. Dimensions: 52" x 16" x 18"